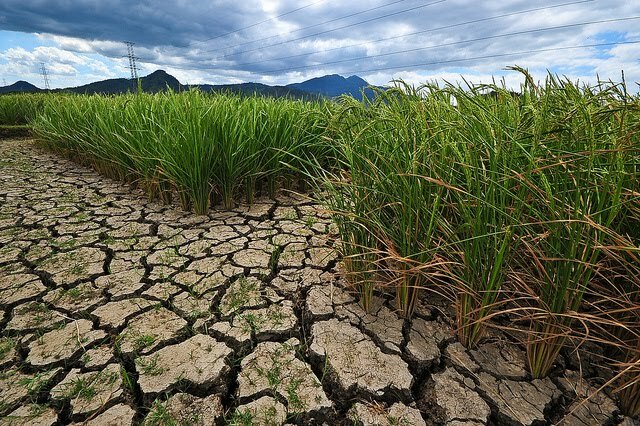 Drought in rainfed lowlands reduces crop productivity, depending on when this occurs relative to the growth stage of the rice plant. Drought also affects the availability of soil nutrients for plant uptake and can also increase weed pressure. Plateau uplands in South Asia are subject to severe drought in the dry season, right before the monsoon rains. 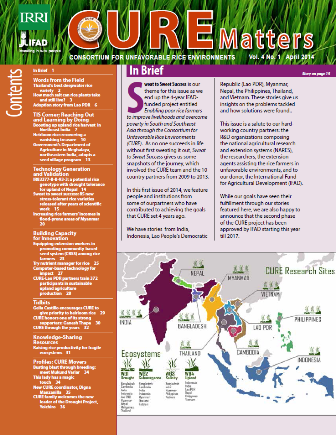 The monsoon's erratic and highly variable rainfall can also restrict crop potential. Weeds, poor soils, and poor seed quality also constrain rice production. A diversified, intensified cropping system would improve farm households' food security and help to generate a surplus to enable future investment in the farm. Drought-tolerant varieties released. 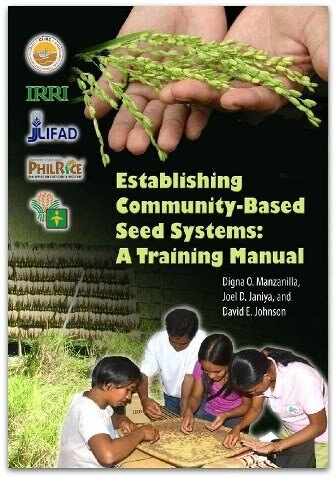 CURE and the NARES partners released a total of 14 new drought-tolerant varieties from 2009 to 2011. Drought-tolerant varieties released from 2009 to 2011. Two streams of work. From 2009 to 2013, CURE-NARES partners pursued two major streams of work. The first one was developing and gleaning new improved rice varieties through participatory varietal selection and the second one was identifying sets of natural resource management practices that would enhancetheperformance of the new environment-friendly improved varieties. Countries. Cambodia, Thailand, Lao PDR, Bangladesh, Nepal, Indonesia, Myanmar, and India.